Scroll down for Dinner Host Access through SignUp Genius. We are an ecumenical venture composed of 18 local churches that provide food, shelter, shower, and counseling for to up 8 homeless employable single adults . Guests are carefully screened and can be provided up to 60 days to find employment. Upon finding employment they are held to rigorous budget and savings requirements with the intention to save as much money as possible within a 4-5 month period. Guests are held accountable for all of their time, spending, and actions. Guests are then transitioned into affordable housing. SHIP does not accept guests with disabilities. Guests must be employable. Although the majority of our volunteers are from local churches, there is no religious affiliation nor are there any religious requirements for our guests. However, this program evolved and revolves around the Church and our love and respect for God. Our host congregations value the program as a remarkable vehicle for community outreach. SHIP is 100% volunteer. There are no paid staff. 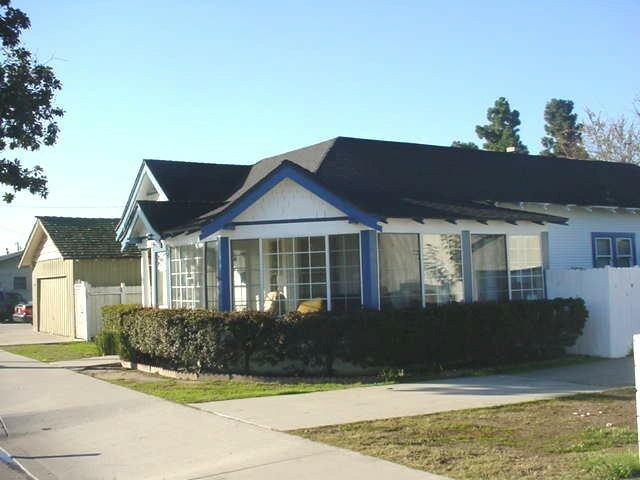 SHIP operates under the umbrella of American Family Housing located at 15161 Jackson St. in Midway City, CA., 92655. The SHIP program rotates amongst churches in Los Alamitos, Huntington Beach, Fountain Valley, and Garden Grove. The SHIP serves homeless individuals who are capable of obtaining permanent, full-time employment within 30-60 days. Guests must be substance-free for at least 30 days prior to admission into the SHIP. They must also be capable of completing daily job search requirements, attending weelky counseling sessions in goal setting, budgeting, and preparing regular budgets throughout the program and conform to mandatory curfews and other rules designed to ensure safety and cooperation aboard the SHIP. Guests share chores to maintain the facility. SHIP does not accept applicants with criminal records of violence, weapons, or abuse of minors.) This is a highly structured, “tough love” program that is not appropriate for all homeless individuals. Our goal is not to care for our guests, but to train them to care for themselves and to provide for them during a four-month transition period. "SHIP first opened its doors on December 18, 1994. Through May 2013, SHIP had provided a total of over 32,000 nights of shelter and service to over 600 guests. Of these approximately 65% left the program with full-time (32 hours per week) permanent employment and savings to obtain housing. OUR NEXT FUNDRAISER: BJ's Dinner on Thursday 04/25/2019 Click Here for the PDF Flyer to bring to the restaurant. Need the flyer in order for SHIP to get credit for your dinner. DINNERS NEEDED: Access http://bit.ly/SHIPDinnersAprilMay to sign up as a dinner host.